The wait is over! Apple has flipped the switch. 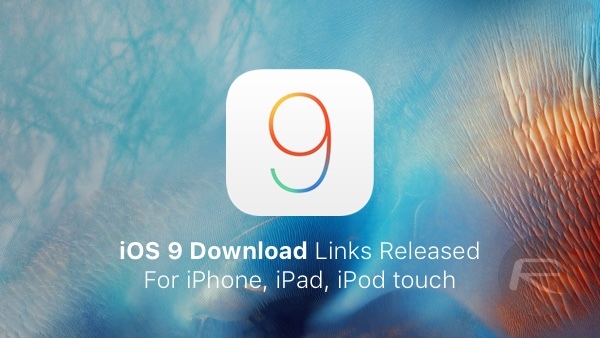 You can now download iOS 9 final IPSW links for all compatible iPhone, iPad, and iPod touch devices. The release represents the first public availability of this latest and greatest version of iOS, and brings with it a number of notable feature inclusions, performance and stability improvements that should hopefully provide a better, more fluid iOS experience to all users installing it onto their devices. The release of iOS 9 represents the first chance for the majority of the public to actually get a hands-on experience with what Apple’s iOS engineering teams have been working on over the last few months. Of course, as we already know, Apple isn’t resting on its laurels when it comes to iOS 9. A pre-release initial beta of iOS 9.1 is already out in the public domain since last week for those registered with the company’s developer and public testing programs. iOS 9 is compatible with all devices that can run iOS 8, which includes: iPhone 6 Plus, iPhone 6, iPhone 5s, 5c, 5, 4s, iPad mini 3, 2, 1, iPad Air 2, 1, iPad 4, 3, 2 and iPod touch 6 and 5. 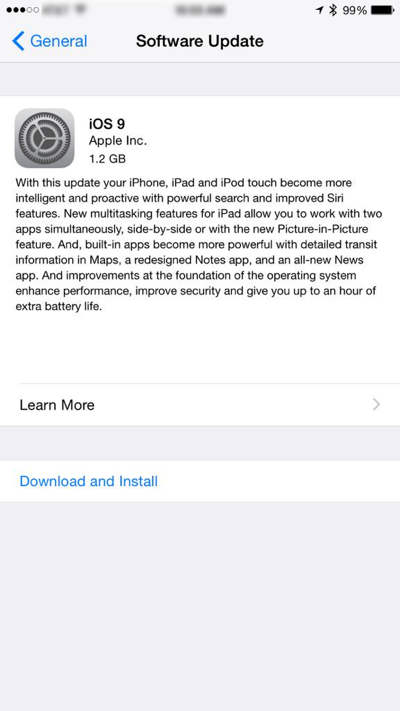 The newly announced iPhone 6s Plus, iPhone 6s, iPad Pro and iPad mini 4 are also obviously supported. iOS 9 brings with it a number of new features, especially for iPads which includes advanced multitasking features such as Split View, Slide Over and PiP (Picture-in-Picture). 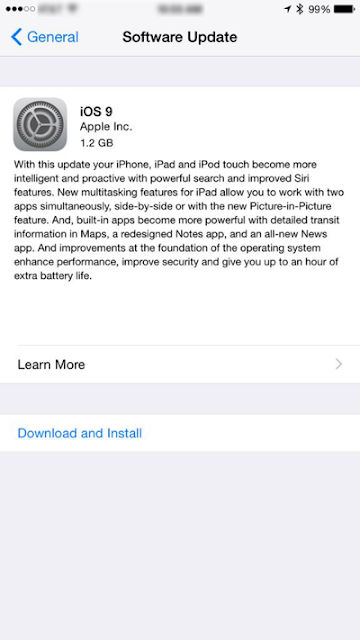 Besides this, Siri advancements such as Proactive Siri Assistant, revamped Notes app, a brand new Apple News app, a new Low Power Mode for saving battery, among others are also part of this major update. For jailbreak users: It is important to note here that currently there is no public jailbreak available for iOS 9 yet. While a iOS 9 jailbreak has already been demonstrated by iH8sn0w, there’s no confirmation on when or if he ever plans to release it. Therefore if you are on iOS 8.4 and below, jailbroken, and care about your jailbreak, do not update to iOS 9 yet. As always, we’ll bring you the relevant jailbreak related news as soon as it becomes available. But if you don’t care about jailbreaking and want to give Apple’s latest and greatest firmware version a go, then you can go ahead and download iOS 9 for your device right now from here.